Due to the inclement weather, applications will be accepted on Tuesday, March 4th and Wednesday, March 5th. Applications can also be mailed and have a postmark of March 3rd-March 5th. Now a corps of over 140 social innovators and entrepreneurs, the Baltimore Community Fellowships program was launched in 1998 and is now seeking applicants for its 17th class. The program seeks dynamic individuals interested in implementing projects that address problems in underserved communities in Baltimore. 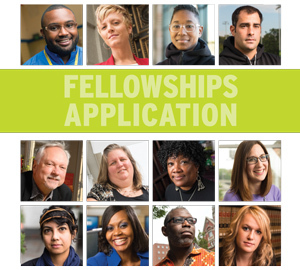 For fellowships beginning November 2014, awards are in the amount of $60,000 over 18 months. Fellowships are for initiatives that take place in Baltimore City. Applicants may come from any field, including—but not limited to—law, medicine, drug addiction solutions, education,the arts, race relations, juvenile and criminal justice. Individuals from underserved communities and people of color are strongly encouraged to apply. Applicants need not be from Baltimore city, but should be knowledgeable about social and economic justice issues affecting Baltimore’s communities. Individuals interested in applying for a Community Fellowship must submit two copies of the application. Download the application. If you have questions regarding the application process for the OSI-Baltimore Community Fellowship Program, please call Emily Smith at (410) 234-1091.